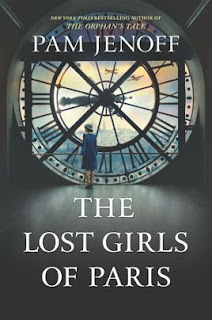 In my latest New Books in Historical Fiction interview, Pam Jenoff answers a question about the main characters in her latest bestseller, The Lost Girls of Paris, by noting that she likes writing books with multiple points of view. I too like writing books with several points of view, as readers of my Legends of the Five Directions novels, especially The Golden Lynx, can attest—and I say that even though my current series uses a single first-person point of view instead. But what are the virtues of choosing one point of view over another? First person is immediate and intimate (you’re right inside another person’s head). If the author is dealing with a difficult, guarded character—like my Juliana in Song of the Siren—first person opens up the character by revealing what she would never admit to anyone else. But first person is also limited, since no one can be everywhere or do everything. The reader knows only what the narrating character can know. For certain stories, that too can be an advantage, keeping the tension high by hiding plot points and motivations until the right time comes to reveal them. But a novel like The Lost Girls of Paris absolutely demands not just third person but several points of view. Grace Healey, the first character we meet, has no connection to the main story, except that she discovers a set of photographs and sets out to uncover who the subjects are. She initiates the search, and she exemplifies the world after the war, its long-term effects and memories. But because Grace lives in the United States and we meet her in 1946, she observes past events, acting only at a distance. The role of onsite participant is left to Eleanor Trigg and Marie Roux, each of whom contributes in her own way to the events. Eleanor supplies context. As the woman in charge of recruiting agents, she understands the larger structure, the planning, the choices being made. It is Eleanor who eventually uncovers the darkness at the heart of the operation—and because of her position it could only be Eleanor. Marie, in contrast, is on the ground, sent behind enemy lines and forced to deal with the consequences of executive decisions in which she has no say and factors that no one, including the heads of the operation, can control. To oversimplify, Eleanor represents the agency’s brain, whereas Marie is its hands and feet and Grace speaks for its legacy. It’s the shift back and forth among these three perspectives that gives the novel its power, not least because the three women together can go places that each one could not go alone. Each of them also has her own take on the war, based on those experiences, and the blending enriches our perspective as well. That’s the other great benefit of multiple third person: the ability to contrast the insights of different characters, thus giving readers a broader picture of the whole than is possible for one person alone. For another example of fluid, expressive use of multiple perspectives, don’t miss Yangsze Choo’s new novel, The Night Tiger—the subject of a New Books in Fantasy interview conducted by Gabrielle Mathieu and cross-listed on the New Books in Historical Fiction link below. You can also check back here next Friday, when Yangsze has graciously agreed to answer my questions. But don’t forget to read the books as well. They’re quite different, but both wonderful—and definitely well worth your time.